CallSource, the originator of call tracking systems and services and has analyzed over one billion calls, is excited to announce the hiring of Pogo Parr as their new Senior Vice President of Automotive. Parr previously worked for CallSource from 2009-2012. He brings more than twenty years of experience in the Automotive Industry and has deep industry insights from OEMs to dealerships. Parr’s specialty is increasing profitability and growth. 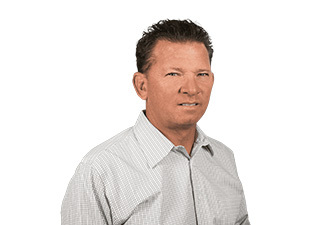 CallSource is excited to have Parr back, where his focus is to rebrand and refocus the company within the automotive space with leadership, technology, people and building valuable partner relationships. CallSource is the premier technology-enabled business performance system that optimizes our clients’ revenue, profit, and brand reputation. CallSource pioneered the call tracking industry and has become the leader in actionable analytics. CallSource delivers insights to solve, strategize, and implement solutions for our clients using their sales performance data. For more information on CallSource visit: www.callsource.com.